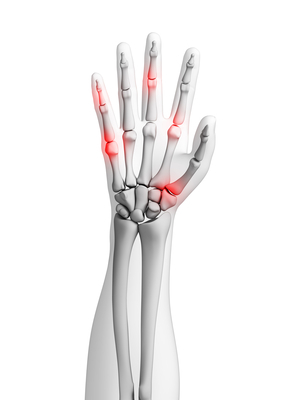 Arthritis is a condition where the joints and the tissues that surround joints become inflamed. Arthritis is a very painful condition and can also involve the immune system and other internal organs in the body. Symptoms can develop gradually or all at once. There are about 200 different types of arthritis but are split into seven groups. Treatments for arthritis is mostly aimed to control pain, maintain function, and minimize joint damage. Treatments can range from medications, physical therapy, joint assistive aids, weight loss, and even surgery.